According to these 5 verses, it tells that Jesus was created before all the rest. And in another verse says that Jesus always existed. And in another verse, it says that Jesus is God. This where I can’t explain. How can Jesus, Holy Ghost and God be one God? In first, I thought that Jesus and Holy Ghost are 2 different creators that are uncreated and God is the uncreated one which it will equal 3 gods. Which it indicates that Jesus and God are different and not 3 in one God. But some rumors say opposite that Jesus, Holy Ghost and Father are three persons in one God. How it is possible to be 3 persons in one God? Is there anything in Bible that clarifies the concept of trinity? Can anyone please find something in Bible that can clearly explain how this is possible? Within the One Deity there is a perfection of unity. If, therefore, Deity is, in essence, fullness ; and if both the Father and the Son share that fulness ; and if there is no limit to that divine fulness . . .
. . and both share that unlimited fulness, in one Holy Spirit . . .
. . . then I believe it becomes clear (to faith, and to faith alone) that Deity exists in a perfection of divine unity. And in that divine nature, dwells the Person of God. God is not a person. God is a Being. Within the One Being of God subsist the three persons of the Father, the Son, and the Holy Spirit. Together, these three make up the One Being of God. When Jesus was baptised in the River Jordan, all three were present: the Father whose voice was heard from heaven, the Son who was being baptised, and the Holy Spirit who appeared in the form of a dove. That is why, when the Son died, the Father and the Holy Spirit did not also die. The Being of God was not killed when the Son was killed because the Son is not the Father, the Father is not the Son, and the Holy Spirit is neither Father nor Son. There has only ever been the One Being of God and there will only ever be the One Being of God. Expressions such as "person", "Father" and "Son" are used to help us grasp the concept of a complex creator God, although it must be noted that the pre-mortal Jesus was never created, but was active in creation, along with the Holy Spirit. In the beginning was the Word, and the Word was with God, and the Word was God. He was with God in the beginning. Through him all things were made; without him nothing was made that has been made. In him was life, and that life was the light of men. The light shines in the darkness, but the darkness has not understood it... The Word became flesh and made his dwelling among us. We have seen his glory, the glory of the One and Only, who came from the Father, full of grace and truth." Jesus is the Word. Jesus came to earth to be born of a woman. Jesus was God with us, back then. The Son laid down his life then took it up again and has returned to heaven, from whence he first came. Edit: To Subsist, within the context of the Being of God, is To Exist, To Be. There is only one Son of God, and that is Jesus, who brought with him his divine nature which was added to his human nature. Those who belong to Christ are adopted into God’s family as sons and daughters, but not physically. 2 Corinthians 6:18 is about our spiritual relationship with God. Contrary to the way some may view this question, it is not a "truth" question but a "how" one. "How is it possible," you ask, given that the tiny selection of isolated verses you quote appear at first sight to be contradictory? You are not questioning the truthfulness of those verses but taking them as a given. You are not questioning the truthfulness of the Christian Trinity doctrine (one Being of God subsisting in three uncreated 'persons'), but asking how it is possible that this be so. It could only be possible if all three who subsist in the one Being of God are uncreated. If one, two, or all three of them had to be created in order to start existing at a given point in time, then the entire Christian faith would be utter nonsense, and the doctrine of the Trinity as gleaned from the Bible would be rubbish. It logically follows that it could only be possible if the Holy Spirit had distinct personality and uncreated existence as does the Word (the Son, who later added human nature to his divine nature in order to become the man, Jesus). This is where an additional comment is needed, where you stated, "According to these 5 verses, it tells that Jesus was created before all the rest." Your misunderstand of those verses is causing you difficulty in understanding "how it is possible". None of those verses state that the Word (the Son, who later became Jesus) was ever created. This is where you need a grasp of the meaning of the ancient Greek words in the New Testament which have been variously translated into English as 'first-born' and 'only-begotten'. Never in the Bible are words used of Jesus that are to be translated as having had a starting point in time, by being created, or even pro-created. But that is not what you ask about, and I will not go into that here. Fresh questions are required. Let it just be pointed out that those who cannot see the uncreated nature of Christ in scripture, cannot see any possibility of the Trinity doctrine being biblical. Their interpretation of verses about Jesus can be based on misunderstanding what critically important biblical words mean, and may cause them to make serious changes to their own translations of the Bible, to weaken the import of the uncreated nature of Christ, and how "He made everything that was made" (John 1:3), logically meaning that he could not have been made (created) himself. I add this last paragraph to help get you over the 'hump' that prevents you grasping how it is indeed, possible, for the one eternal Being of God to subsist in three equally eternal 'persons'. Consider the following analogy. The Greeks established the parallel line postulate, and Euclid wrote of it. He and succeeding mathematicians were perplexed why they could not use their other postulates and axioms to prove it. Then Lobachevsky and other mathematicians discoverd non-Euclidean geometries where parallel lines DO meet. The fact of whether parallel lines meet or not is a basic axiom of your mathematics and your world. It is a given, it does not have a cause. There is no why to be answered. The Old Testament strongly emphasizes the unity of God. There is one God, not many. “Now concerning that day and hour no one knows—neither the angels in heaven, nor the Son —except the Father only." There are many statements in the New Testament that show the different roles of the members of the Trinity. They are described, but not explained. They are revealed as being. That just is the way God is. Since God is eternal and unchanging, God has always been this way so there is no cause for Him being this way. He just is. Like the parallel line postulate, we live in a universe whose axioms are consistent with the nature of God as He is. God's triune nature is the bedrock on which the universe was constructed. 25 He said to them, “How unwise and slow you are to believe in your hearts all that the prophets have spoken! 26 Didn’t the Messiah have to suffer these things and enter into His glory?” 27 Then beginning with Moses and all the Prophets, He interpreted for them the things concerning Himself in all the Scriptures. If the Son of God tells us that it was all spelled out in the Old Testament, but we were too blind to see it, then it must be there, so we should look closer. John 17:20-23 My prayer is not for them alone. I pray also for those who will believe in me through their message, 21 that all of them may be one, Father, just as you are in me and I am in you. May they also be in us so that the world may believe that you have sent me. 22 I have given them the glory that you gave me, that they may be one as we are one— 23 I in them and you in me—so that they may be brought to complete unity. Then the world will know that you sent me and have loved them even as you have loved me. Furthermore, it is good to note that many have been addressed as God who are not literally God. Only when Jesus is referred to as God do people start demanding that it be taken literally (producing all manner of contradiction). Moses was referred to as God (Exodus 7:1), Angels have been referred to as God (all over the OT, like the angel in the burning bush in Exodus 3), and the Jewish People have been addressed as gods (Psalms 82, John 10:33-36). Exodus 7:1 Then the Lord said to Moses, “See, I have made you like God to Pharaoh, and your brother Aaron will be your prophet. John 10:33-36 “We are not stoning you for any good work,” they replied, “but for blasphemy, because you, a mere man, claim to be God.” 34 Jesus answered them, “Is it not written in your Law, ‘I have said you are “gods”’[d]? 35 If he called them ‘gods,’ to whom the word of God came—and Scripture cannot be set aside— 36 what about the one whom the Father set apart as his very own and sent into the world? Why then do you accuse me of blasphemy because I said, ‘I am God’s Son’? In reality, Jesus never says of himself that he is God, but always maintains that he is the Son of God. It is clear from an honest reading of the scriptures that no one in the scriptures literally considered Jesus to be God Almighty himself, but all maintained that Jesus was the Son thereof, who held a lesser position at the right-hand of God. Mark 16:19 After the Lord Jesus had spoken to them, he was taken up into heaven and he sat at the right hand of God. Acts 2:33 Exalted to the right hand of God, he has received from the Father the promised Holy Spirit and has poured out what you now see and hear. Romans 8:34 Who then is the one who condemns? No one. Christ Jesus who died—more than that, who was raised to life—is at the right hand of God and is also interceding for us. Hebrews 1:3 The Son is the radiance of God’s glory and the exact representation of his being, sustaining all things by his powerful word. After he had provided purification for sins, he sat down at the right hand of the Majesty in heaven. 1 Cor 15:27-28 27 For he “has put everything under his feet.”[c] Now when it says that “everything” has been put under him, it is clear that this does not include God himself, who put everything under Christ. 28 When he has done this, then the Son himself will be made subject to him who put everything under him, so that God may be all in all. According to trinitarians, God is One because there is only one uncreated substance in all of reality. That one uncreated substance is also three persons. There are two crucial points you have to understand to make sense of this seemingly contradictory language about God. The term "person" does not mean "being." "God is One" refers to His substance, not to the fact that He is tri-person. Also related: How does Jesus' pre-incarnational existence relate to oneness pentecostalist godhead doctrine? Perhaps the key to understanding the Trinity is to consider that God has the ability to extend Himself, and the two extensions of God are Jesus and the Holy Spirit. Think of God as a tree and it having two branches, those branches are Jesus and the Holy Spirit. Three Persons, but still One God. For me the answer to ths question is actually very simple...family. Father, Son, and Holy Spirit are individuals within that family. God created us in his own image. I believe his creation of family is also based on this philosophy. Not the answer you're looking for? Browse other questions tagged nature-of-god trinity philosophy or ask your own question. What is the Biblical basis for the doctrine of the Trinity? How does Jesus' pre-incarnational existence relate to oneness pentecostalist godhead doctrine? If Christ is considered the 'Son of God' then how is He a part of a Trinity? How can we tell when Scripture is talking about one of the persons of the Trinity and when it's talking about all three? In what way are we to be one, as Jesus and the Father are one? What is the basis of the view that Jesus was separated from the Father and Holy Spirit upon death? What do the Apologists mean by three persons as “one in nature” if the Son and Spirit are not eternal? Are Father, Son, and Holy Spirit explicitly identified as “persons” in any writings directly associated with the Nicene Creed? 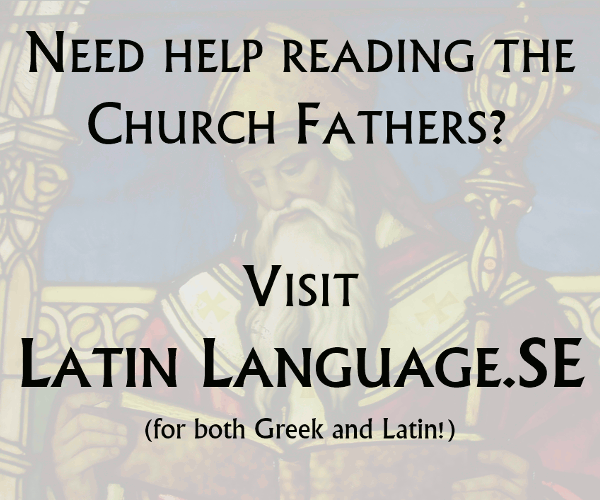 Why doesn't the Father have additional attributes like the Son and Holy Spirit?